In the Ocean Discovery Park in Brest, we have created an interactive display that complements the expanded view of a lobster in a display case extremely effectively. 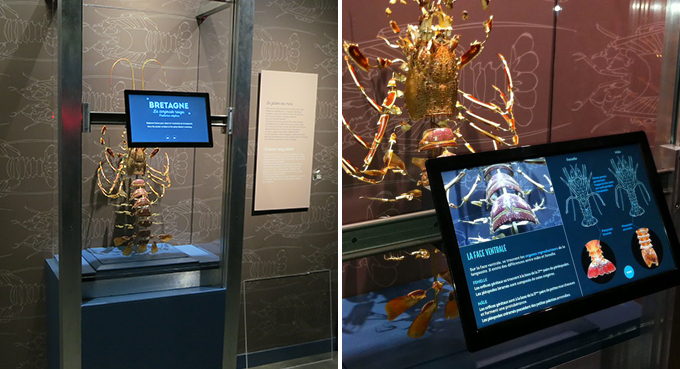 Visitors can move the tablet horizontally and vertically in front of the expanded view of the lobster. A zoomed-in view of the lobster and a wealth of interesting facts appear on the screen. This device gives the visitor access to videos, labelled drawings, textual explanations and interesting sound effects.